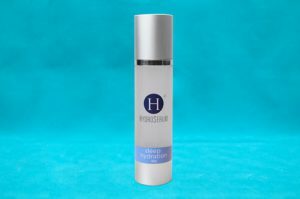 Back Bar Deep Hydration HydroSerum uses petides, ceramides, and sodium PCA to lock in moisture. Peptides stimulate collagen and elastin synthesis from skin fibroblasts thus reducing the appearance of fine lines and wrinkles. Ceramides facilitates natural structural lipids located between dermal cells that in turn deeply moisturizes and protects skin by restoring a natural barrier to damage. Sodium PCA is a naturally occurring humectant, which binds water and provides deep moisturizing to penetrate inner skin layers.